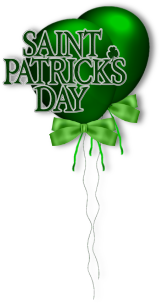 That is the end of my 2011 St. Patrick's Day avatars. If you want a design, just leave me a post, and remember, last year's are here. EEK! I cannot find the ones I did for you this year! You know I love snoopy dancin'! Brandi, as always, you creative shines! Thanks for taking such good care of my doggie! Also, thanks for the sig lines for Connie. I messed up this year. Along with puzzler's avatars, I missed uploading a whole column of avatars, including pfaubush, sassifrass, sassycat and scatty's! They will follow this post. I apologize. You are very welcome, no rose! heh ... I kinda liked "creative shines." Happy to take care of Nordie and help with Connie. For you for St. Patrick's Day if you'd like! I'll ask Klaas to post it for you if you want. Page created in 6.126 seconds with 19 queries.